Fall is my favorite season of the year. It is a season of beautiful and bright colors everywhere. One of my favorite things about fall is all of the beautiful colored leaves. Autumn leaves are the perfect way to bring a little bit of the outdoors in. With a bit of creativity and a little of handiwork, there are a number of wonderful crafts we can do to bring those gorgeous autumn colors indoors. In today’s post, we have rounded up a few crafts that use fall leaves and are perfect for kids to make with fun. Take time to browse through these collections and give your favorite one a try this beautiful season. Enjoy! Aluminum oil, soft steel wool, black matte spray paint are all you need for this DIY art. See the tutorial at My Baking Addiction. Transform old jars into gorgeous fallen leaf lanterns. Great crafts for kids to make and enjoy nature. Tutorial via Happiness is homemade. 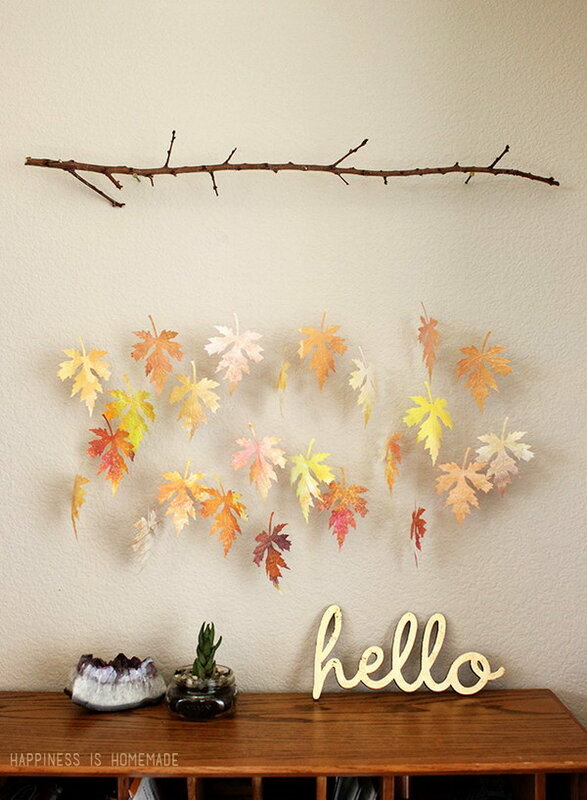 Dried leaves and Mod Podge are all it takes to make this fall leaf candle holder. Bring the autumn beauty indoor with this project! See the tutorial via Kids Kubby. Fun fall crafts for kids! Get the tutorial via Small Friendly. Another fun leaf craft for kids that is super easy and cheap! Get the tutorial via Confessions of a Home Schooler. These leaf luminaries are so pretty and so easy to make! Also add a houch of homemade in your home. Tutorial via Kids Craft Room. Make an autumn leaf bouquet for your dinning table this fall with the step-by-step tutorial via diyiydidydyiydi. 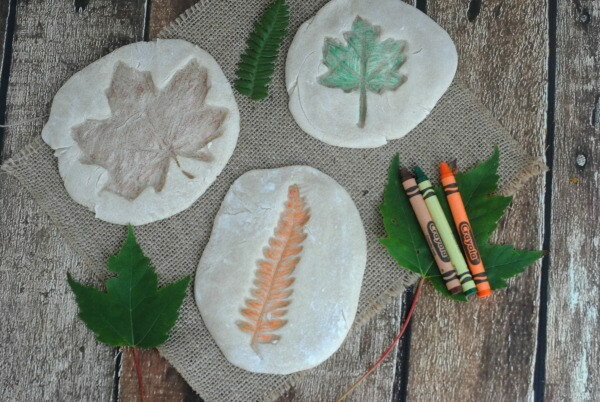 Easy fall leaf crafts for kids to make with fun! See the tutorial via free bie finding mom. 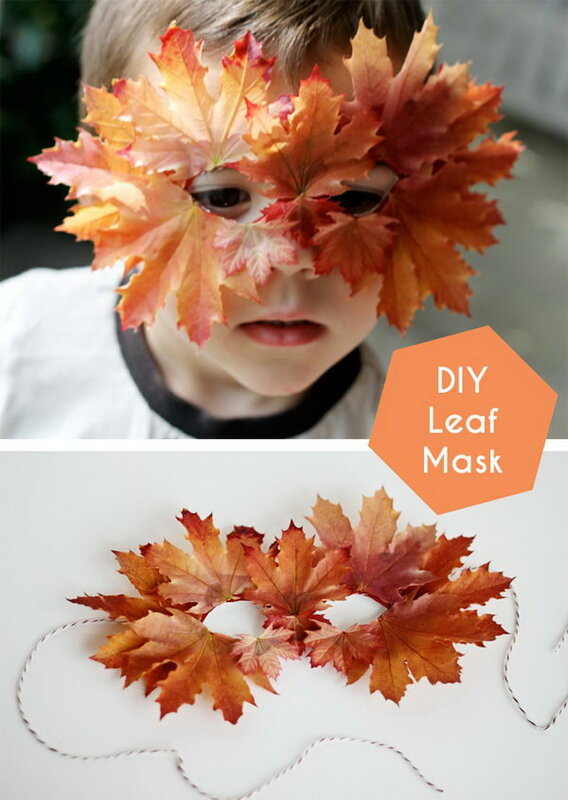 Almost every child would try these crafts as Autumn approaches. Super easy and fun to make for kids! See more details via kcedventures. Make your own leaves with watercolor paintings and emboss with Sizzix dies for a realistic look! Tutorial via happiness is homemade.